I've officially exercised five days in a row now! One small step for man, one giant leap for Jennakind! My gym shoes have lived a good and long life and are showing some serious wear. As in worn-down tread and even a hole in one shoe! Basically, it was well past time to buy myself a new pair of shoes. Last night, while drinking some fruity Argo tea, I instinctively navigated to the Nike website. "Cute! Chic!" 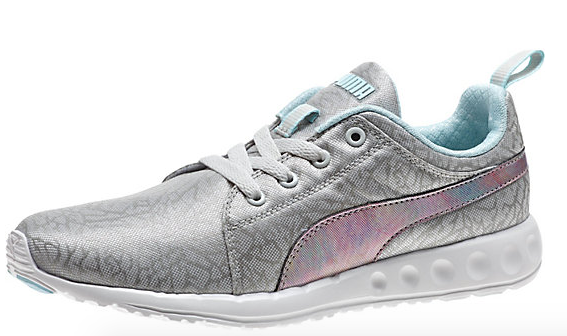 I thought, clicking through the various running shoes* and oohing over the fun designs. "I want them all!" Until I saw the prices that is. "That's okay! It's an investment," I rationalized. I really want to save money for a house. Seriously. That darn 2016 resolution glimmered to mind. I knew I should do a little more research and at least try to find a better buy. I FOUND A MEGA AWESOME PUMA SALE! 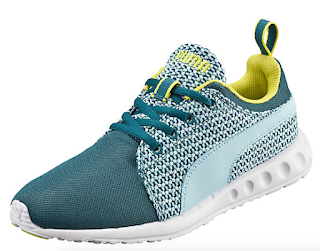 Frugal Jenna bought two pairs of gym shoes for $90 total. Including tax and all! I felt quite thrifty and smart. And excited about my new kicks. Now I'm more ready than ever to keep up my gym challenge! *Disclaimer: I do not run. I walk. But I suppose this just makes my feet ultra prepared. Especially digging the first pair - such fun colors! Cheers to a great sale! Big thumbs up for frugal Jenna and her fitness goals! Those kicks are motivation enough to work out, and that price? Unbeatable! 5 days in a row?! You got this girl! There is nothing like a fun new pair of kicks to start off a new workout regime!! Just set a small goal and hit it; you've got this!! LOVE both pair.